We’ve all been on the receiving end of some kind of holiday generosity – whether it was a gift we held in our hands or our hearts. Instead of rushing through the obligatory thank-you-note list this year, what about taking a moment to really think about all the ways we’ve been blessed by others? It not only reminds us of God’s goodness in our lives today, but helps set our hearts toward gratitude in the coming year. 1. Who hosted you? Whether it was a small group get-together, Christmas party, or weeklong family visit, who would cherish a note of appreciation for opening their home (and heart!) to you this season? 2. Who went out of their way to surprise you this year? Maybe it was a unique gift, a special outing to a place you love, a spontaneous call or visit from someone you’ve been missing. Why not let them know they provided some wonderful memories? 3. Is there a child in your life who would benefit from a note of gratitude? It could be a neighbor, a niece or nephew, son, daughter or grandchild. One of the greatest ways we can help the next generation to live with grateful hearts is to show them what it looks like. Take a moment to write a note to a helpful child. Even if it was a small thing, let them know you noticed and appreciated something they said or did. 4. Who blessed you without even realizing it? Could be the barista who made all those delicious pumpkin lattes or the hardworking coordinator of the Christmas show. Is there someone in your life who’d be surprised and encouraged by a note or gift of gratitude? 5. Who showed you the love of Jesus through their words or actions? The neighbor who scooped your walk when you weren’t able; the friend who was faithful in prayer; the pastor who spoke a word of encouragement just when you needed it most? Let them know how God worked through them to brighten your Christmas this year. 6. Who is your unsung hero? Is there someone in your life that you’re so close to you sometimes forget to show your gratitude for what they do? Maybe it’s a family member who always stays late to help with dishes, or a friend who entertains the little ones so you can enjoy some grown-up time. Why not leave a note on your spouse’s pillow reminding him or her of all you appreciated this season? 7. And finally, what about the One who made this holiday (and every day!) possible? How did you see Him at work around you and how did you experience His love this Christmas? Choose a special card and write a thank you note to Jesus. As you recall the goodness He’s shown in the past, offer a prayer for the future. Ask Him to fill your heart with daily gratitude in the coming year. Tuck the card away in a Bible or journal, and revisit that prayer when you need a reminder to live gratefully. Maybe make it a tradition to write one at the end of each Christmas season. 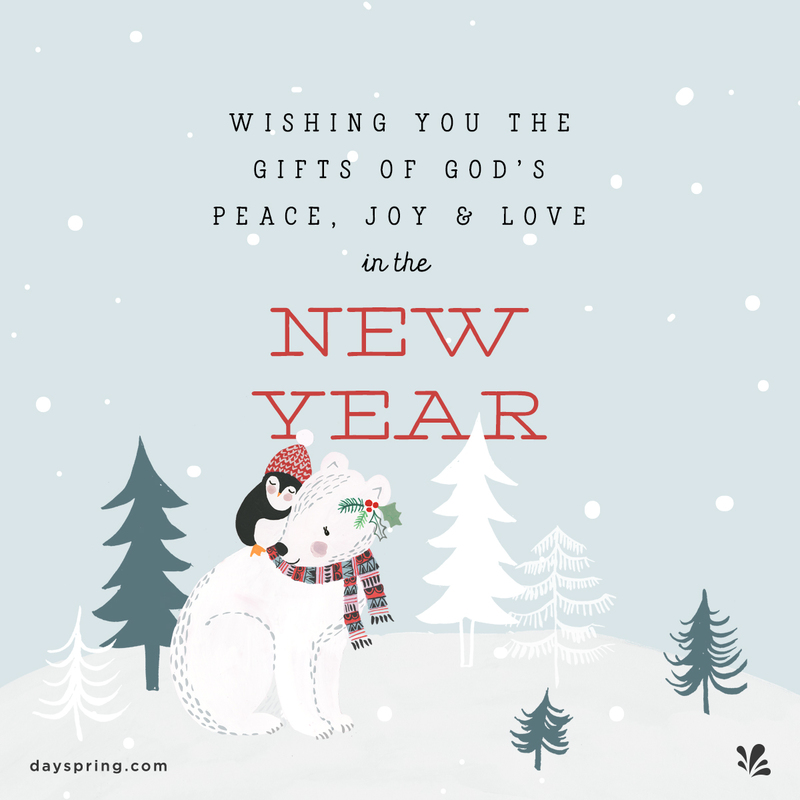 It’s a wonderful way to begin a new year, not only reflecting on the blessings you’ve received, but preparing your heart for a grateful year to come. Want to find just the right expression of thanks? Check out our thank you cards and gifts for all the generous people in your life. Reflect on the blessings of 2016 and prepare for a grateful year ahead.